Whistler B.C. – Winter arrived early at Four Seasons Resort and Residences Whistler where the snow started falling in October. The village is abuzz with the locals boasting the best conditions for the earliest opening in the past two decades. With opening day in the books, this winter is gearing up to be one of epic proportions. The resort town is beaming with the announcement of Whistler Blackcomb’s #1 overall resort in North America win by the 29th annual SKI Magazine Reader’s Poll – the third consecutive win and fourth time in five years. Four Seasons Resort Whistler is celebrating a win of its own with Conde Nast Traveler ranking the resort as the third best in Canada. There’s nothing quite like winter in Whistler and with favourable exchange rates, now is the time to come experience North America’s largest ski resort and see what unforgettable memories can be created in this magical wonderland. Enjoy the rewards of a longer stay at luxurious Four Seasons Resort and Residences Whistler. Receive increasing savings of 20% with your stay of two or more nights. Experience true luxury in Canada’s most exclusive mountain resort. Stay two paid nights at Four Seasons Resort Whistler and receive a complimentary third night to enjoy more of stunning Whistler, BC. Want more? Stay four nights and lock in the Fifth Night Free offer. With access to over 3,200 hectares (8,000 acres) of skiable terrain, there’s something for everyone. Whether you cruise the groomers, ski through the snowy trees or adventure off-piste, these mountains will leave you with unforgettable memories. Book the Ski Freepackage to receive daily lift passes for two adults, access to the Ski Concierge, and much more. Bringing the whole family? Opt for the Ski Free Family package. Find your alpine home away from home at our spacious Residences, where five-star, two-bedroom residence accommodations are perfect for a group ski or snowboard holiday or quality time with family and friends. The ‘Ultimate Whistler Residential’ package invites guests to choose a vacation highlight: either an invigorating day on the slopes with an Olympian as your guide, or an unforgettable dining experience created just for you by a renowned chef. Reservations must be made 14 days in advance. Book any of these offers online or call our Reservations team at (604) 966-2700. 1. Foodie: This high-flying experience features glacial peak aperitifs and panoramic mountain views. Guests are invited to embark on an unforgettable adventure that begins with a short and scenic drive from the resort to Whistler’s heliport. A private helicopter takes guests to a remote ice cap as they sip on a glass of Champagne in their brand new Canada Goose black label parkas and sleek, waterproof Sorel boot.Guests are delivered to a nearby glacial peak to embark on an ice cave exploration, discovering a 12,000-year old labyrinth of chambers of aqua blue magnificence. While engaging in this spectacular sightseeing, guests harvest an essential ingredient – pure glacier ice. The Resort’s mixologist will shake up one of their signature specialties amid the intense beauty of Whistler’s mountain peaks. On completion of happy hour, guest head back, taking in the alpine scenery before returning to a luxurious Private Residence featuring panoramic views. Executive Chef Eren Guryel will prepare a memorable dinner boasting locally sourced ingredients and premium meat cuts paired with custom cocktails. 2. Romance: ‘Glacier Romance Experience’ is an unforgettable once-in-a-lifetime night away from Whistler spent between couples on a glacier on the spectacular Coast Mountain range in beautiful British Columbia. A true birds-eye view vantage point, the helicopter ride offers majestic scenery including blue-green lakes, wolves, grizzlies and other wildlife. Arriving on the ice cap is an experience like no other, opening up into an aquamarine cavern of 50,000 year-old ice caves that are beyond breathtaking. Staying true to Four Seasons style, couples will enjoy an excitement-fueled day featuring an ice cave tour, snowmobiling and glacier golf punctuated with elegant touches, like Champagne and canapés. A cozy faux fur-lined double hammock overlooking incredible glacial vistas is one of the world’s most romantic places to cuddle up, perfect for stealing kisses, staying warm and of course, Instagram. 3. Family: For an adventure the kids will be talking about for a long time, embark on an epic helicopter adventure. 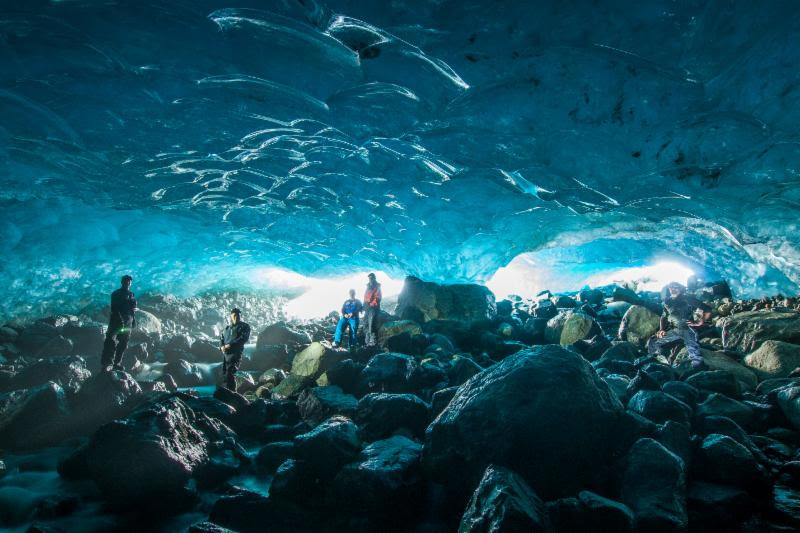 The helicopter delivers families to a nearby glacial peak where they embark on an ice cave exploration, discovering a 12,000-year old labyrinth of chambers of aqua blue magnificence. To inquire about or book a package, please call our Reservations team at 604.966.2700 or e-mail us at reservations.whi@fourseasons.com. 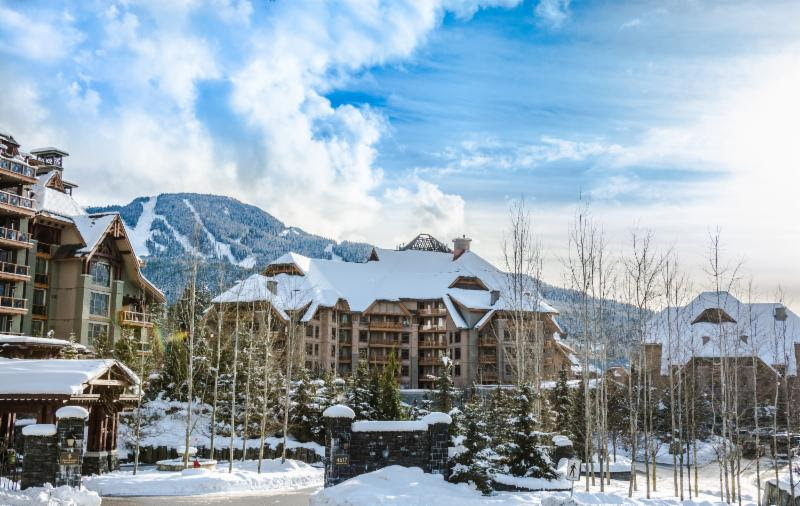 Four Seasons has launched their new chat digital service at the Whistler property. Guests are now able to send and receive messages with on-site team members anytime before, during or after their stay. Users can send messages via the Four Seasons App, Facebook Messenger, WeChat or SMS to access uniquely tailored experiences for each guest. The chat is able to translate over one hundred different languages. The top reasons to use Four Seasons Chat is for customized assistance, advice on the fly, sending requests from the comfort of anywhere (including the pool to order another drink), plus more quality time with friends and loved ones. Four Seasons Resort and Residences Whistler is one of North America’s top mountain resorts having been named Whistler’s only Forbes Five Star Resort. 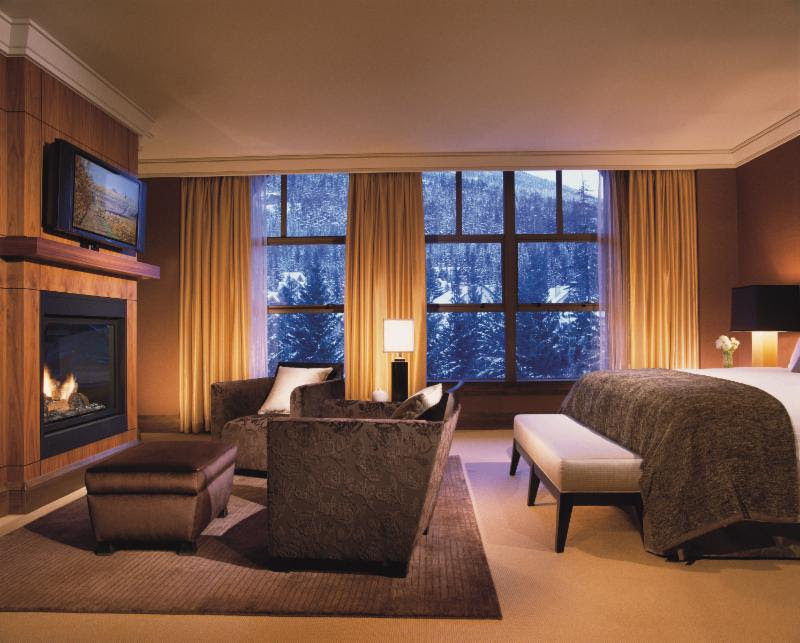 In addition to world-class skiing, this award winning Four Seasons Mountain Resort offers the ultimate year-round getaway in an enviable location, as well as fine dining, luxurious spa retreats and après ski offerings. With the Resorts’ signature amenities and renowned, personalized service, Four Seasons Resort and Residences Whistler is in a class of its own among mountain destinations. As the world’s leading operator of luxury hotels, Four Seasons Hotels and Resorts currently manages 106 properties in 45 countries. For more information on Four Seasons Resort and Residences Whistler visit www.fourseasons.com/whistleror stay connected on Facebook, Twitter or Instagram.